Carlos E. Aragon joins the GCF Task Force in Brazil. He brings more than 25 years of work experience in the Brazilian Amazon and 12 years in the Regional Amazon to the GCF. He has worked for the Amazon state of Acre, the national government, international intergovernmental organizations, the private sector, and non-governmental organizations. His knowledge of the opportunities and challenges associated with each of those sectors makes him a valuable member of the GCF team. Most recently, Aragon worked as Manager of the Program for Innovative Solutions at the Sustainable Amazonas Foundation and as the Coordinator for Climate Change and Sustainable Development at the Amazon Cooperation Treaty Organization. In those positions, he led and participated in the development, implementation, monitoring and evaluation, and fundraising for relevant participative programs and projects to conserve the Amazon rainforest. These programs included: the Forest Cover Monitoring Project in the Regional Amazon; the Sustainable Development of Extractive Reserves Program; and the Project for Indigenous Populations in Boundary Areas. At the international level, Carlos contributed to consensus building on forest, climate change and sustainable development within the framework of the UN system. He is a civil engineer and specialist in finance and development, with an MBA in Financial Administration and an MSc. in Environmental Economics. William Boyd is a Professor of Law and John H. Schultz Energy Law Fellow at the University of Colorado Law School, and a fellow of the Renewable and Sustainable Energy Institute (RASEI), a joint institute between the National Renewable Energy Laboratory and the University of Colorado, Boulder. Professor Boyd teaches and conducts research in the areas of energy law & regulation, climate change law & policy, and environmental law. He received his Ph.D. from the Energy & Resources Group at UC-Berkeley and his J.D. from Stanford Law School. After law school, Professor Boyd clerked for Judge Diana Gribbon Motz of the United State Court of Appeals for the Fourth Circuit. Professor Boyd then served as American Association for the Advancement of Science Congressional Science Fellow and Counsel on the Democratic minority staff of the U.S. Senate Committee on Environment & Public Works. He then practiced energy, environmental, and climate change law with the firm of Covington & Burling LLP in Washington DC. Professor Boyd continues to be actively involved in energy and climate change law and policy at state, national, and international levels. As Director of the Laboratory for Energy and Environmental Policy (LEEP) innovation, he oversees all activities and has major responsibilities for the GCF Task Force, the PUC Clean Energy Collaborative Project, and the Sustainable LA Grand Challenge Project. 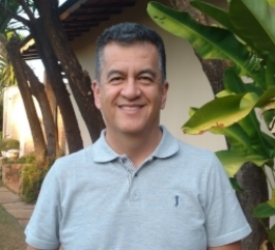 Victor Galarreta has served as the GCF Task Force Country Coordination for Peru since 2016. He has a substantial professional experience in environmental economics, finance, public administration, public - private cooperation, and capital markets. From June 2007 to February 2015, he served as Technical Secretary of the Board of Interregional Coordination of the Interregional Council Amazonian (CIAM), an organization of subnational governments of the Peruvian Amazon. He also holds over thirty-five years of experience as a technical advisor to high-level institutions including the World Wildlife Fund (WWF), the Peruvian National Forest and Wildlife Service (SERFOR), the Ministry of Economy and Finance of Peru, the Agricultural Bank of Peru (AGROBANCO), the US Agency for International Development (USAID), United Nations Development Programme (UNDP), among others. Victor is an economist and has a master's studies from the Pontifical Catholic University of Peru, Lima. Bryan Weigle is the GCF Task Force’s project administrator. Prior to joining the Task Force Bryan spent over a decade at Environmental Defense Fund where he played a lead role in the management of several public and privately funded grants that advanced the organization’s zero-net deforestation initiatives. Working with a team of experts and international partners, Bryan managed a 3-year granted funded by Norway’s International Climate and Forests Initiative that kickstarted EDF’s work on public-private financing platforms for REDD. In his last role, he managed a team of financial analysts and advised a group of program executives on the financial health of the Climate and Energy’s program’s $40 million annual operating budget. Bryan holds a Master of Philosophy from Trinity College Dublin. 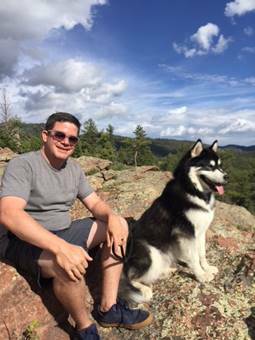 Outside of work, Bryan enjoys spending time with family and friends and exploring the plethora of beer Colorado has to offer. Delon Marthinus joined the GCF Task Force as the Executive Secretary/Country Coordinator for Indonesia in 2018. 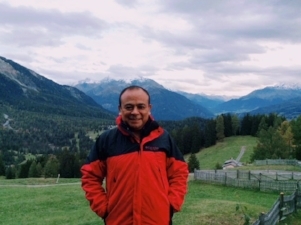 He brings a wealth of knowledge and experience to the GCF Task Force from his prior 15 years working in the field environmental protection and conservation for The Nature Conservancy (TNC) and Carbon and Environmental Research Indonesia (CERIndo). While at TNC, Delon was a forestry and climate change specialist in the Indonesia Terrestrial Program working primarily on improving forest management and reducing emissions from deforestation and forest degradation. He was very involved in the development of Project Design Documents and the Emission Reduction Program Documents for a wide range of strategic climate change mitigation projects at the national and sub-national levels in collaboration with diverse governmental and non-governmental stakeholders. Delon earned his undergraduate and master's degrees from Bogor Agricultral University, Indonesia. As the Senior Program Officer at the GCF Task Force Secretariat, Luke Pritchard brings over a decade of experience in international development, tropical forestry, natural resource governance, and climate change. Prior to joining the GCF Task Force he worked as a policy advisor and researcher in Southeast Asia, Africa, Latin America and the Pacific on initiatives funded by donors, development banks, foundations, and the private sector focusing on the nexus of deforestation and climate change. He has helped develop technical tools for forest carbon accounting and contributed to papers on climate finance, safeguards, monitoring, reporting and verification (MRV), and Nationally Determined Contributions (NDCs). Luke currently sits on the Steering Committee of the LEDS GP Agriculture, Forestry and Other Land Use (AFOLU) Working Group and holds an MSc in Agricultural Development and an MSc in Environmental and Forest Sciences. With the GCF Task Force Luke works regionally with members and coordinators in Mexico, Ecuador, Peru and Colombia and coordinates the network's work on agricultural supply chain initiatives and deep decarbonization planning. Dr. Scanlan Lyons currently serves as the Project Director for the Governors’ Climate and Forests Task Force and the co-Director of the LEEP Innovation Lab. Scanlan Lyons’ expertise includes project development and management, focusing on the social aspects of climate resilience and forest conservation, and community participation, mobilization, and empowerment. She is an expert in developing experiential and applied educational opportunities that bring together governmental, civil society, and private sector actors to create integrated approaches to forest governance, sustainable livelihood development, and cultural preservation. Scanlan Lyons has worked with and consulted for diverse social-environmental institutions and organizations such as the Climate Reality Project, the Inter-American Development Bank, the Global Greengrants Fund, the City of Boulder Open Space Department, the American Forum for Global Education, and the National Institute for Research in the Amazon. While her geographic expertise lies in Brazil, where she has over twenty years of experience working with organizations in the Amazon and Atlantic Forests, she has also developed projects in Bolivia, Belize, Costa Rica, Indonesia, Uganda, and the United States. Dr. Scanlan Lyons speaks proficient Portuguese, reasonable Spanish, and some French. She is the mother of Max (17), Ella (15) and Maya (12). Geeta Uhl joined the Governors’ Climate & Forests Task Force as the Assistant Director in 2018. Previously, she was an Environment Officer at the United States Agency for International Development (USAID) for over 7 years. She managed complex biodiversity, forest, climate change and energy projects in Uganda, Latin America and the Caribbean, and globally, engaging with local government, civil society, and the private sector to advance shared development and environment priorities. As a Project Manager for New York City's Economic Development Corporation, she managed urban planning projects to promote sustainable and equitable development in New York City. As a Program Manager for the Environmental Investigation Agency (EIA), she led new sustainable forestry projects in Central America and worked to improve enforcement efforts and compliance with multilateral environmental agreements. Geeta speaks Spanish and has experience working in Latin America, Africa and Asia. She received a B.S. in Foreign Service and Environmental Studies from Georgetown University and an MPA in Environmental Science and Policy from Columbia University.